Home » Bitcoin-sites » Should I buy the TREZOR Or LEDGER Nano S Bitcoin hardware wallet? I recently attended a Bitcoin Conference. At the conference, I decided to buy a special engraved Ledger that had been created just for the conference. Ledger, which is among the leading hardware wallets manufacturers made me decide to do this Ledger Nano S review. For a long time, I have been a fan of TREZOR which is Ledgerwallet main competitor. So, I decided I am going to test the engraved Ledger for the first time because I have heard good comments about the Ledger Nano S. However, instead of doing a review on Ledger Nano S alone, I have decided to make a comparison of the two; TREZOR and Ledger. Bitcoin hardware wallets are possibly the strongest form of security you can ever have for not only Bitcoin but also any other cryptocurrency. These hardware wallets allow you to send and receive Bitcoins on your computer with or without malware. Hardware wallets achieve high security by storing your private key and ensuring you can sign your Bitcoin transaction even when you are offline; so that someone can’t hack your wallet. Most of these hardware wallets use a second device/screen to confirm any actions on your wallet, e.g., signing transaction. Therefore, if by any chance hackers take control over your computer, they won’t do you any harm because they will also need access to the device (physical device) that is connected to your computer. 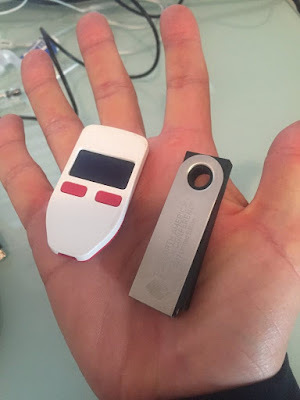 The former Ledger model, i.e., the Ledger Nano was less protective as compared to a TREZOR wallet. During those times, the TREZOR wallet contained a second screen protection that added security; making it more superior as compared to the Ledger Nano. However, the new Ledger Nano S also contains the second screen feature which makes this comparison very interesting. Regarding design, both Ledger Nano S and TREZOR are more or less the same, i.e., both are compact and small. However, the Ledger Nano S has some slight advantage over TREZOR, i.e., durability. The Ledger Nano S has a metallic casing that ensures this durability and also makes it look attractive. Also, both of these wallets can fit easily into any pocket or hand. 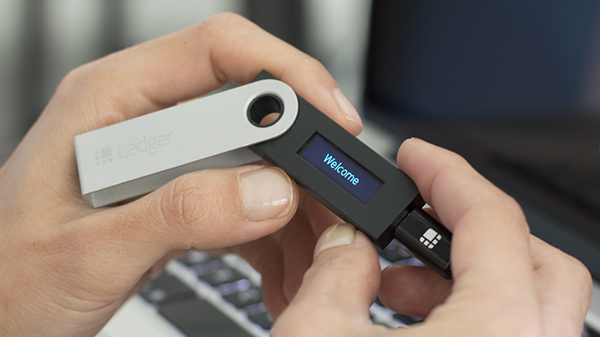 The Ledger Nano S works similar to hardware wallets. To protect your device from unwanted access, you need to choose a PIN when you are setting it up. You will then receive a 24-word seed that you will use to create your private keys-well known as an HD wallet. Ensure you write down the 24-word seed in a safe and secure place (Not on your computer). This is because anyone who finds out this seed will have control over your Bitcoins. Use a Cryptosteel device to write down the seed. 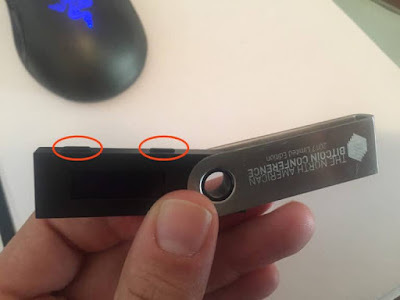 Usually, the ledger Nano S contains two buttons that help you control it. The first set up for this device is simple; it takes about 3 minutes with most of the time being spent on writing your seed. The second screen works because of the seed creation. In case your computer is compromised, any hacker can access and see the seed if it will display on your screen. This is the reason why these seed words are often displayed on a small device screen that is tamperproof. This tamperproof screen nature helps you ensure that you are the only one seeing the seed. After you have set up the device, you only need to install an app which will allow you to interface with your device for sending and receiving Bitcoins. The Chrome app is almost the same as the one TREZOR use. However, the one TREZOR uses are sleeker. The Ledger Nano S interface is quite intuitive hence it doesn't require the use of manuals to for you to know everything about it. Besides, you can rename your accounts without having to use general names, e.g., account 1. TREZOR on the other hand, allows this to take place although it will need you to connect it to a Dropbox account. Moreover, the Ledger Nano S can use existing Bitcoin wallets rather than any other current Chrome extension interface. These type of wallets include MyEtherWallet, MyCellium, Copay, GreenBits, Electrum, and Bitgo. 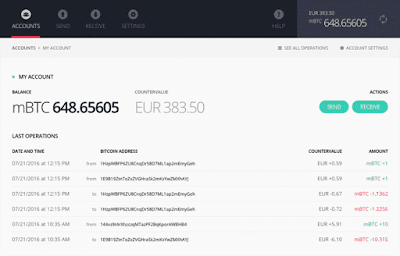 Remember, you can manage multiple addresses for every currency using the same device. This allows you to check, send and receive payments on your accounts easily. Ledger was founded back in 2015 in France. Although it's not long ago, the company has gained traction in the Bitcoin and other cryptocurrency spheres. Thus, it has grown to become an able competitor to SatoshiLabs; creator of TREZOR which was founded in 2014. The two competitors use open source code for their apps. They have also demonstrated excellent customer stability and support. Although TREZOR is a more respected and mature company, Ledger is an able competitor. The price of the Ledger Nano S is about $65 while that of TREZOR is $99, making the Nano S a more attractive due to bargain-since all their features are quite identical. To be honest, I believe the Ledger Nano S takes it due to its lower price. However, both of these companies have created great products. Also, the Ledger Nano S is unique in its design and usability, while TREZOR has much of its impact on the community; though not that much. 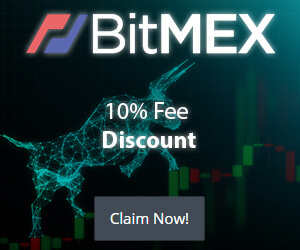 Most of us are price sensitive therefore we will be attracted to Ledger. Although I am still using TREZOR, I believe it's because when I had started to use hardware wallets, Ledger was not in the market. I think it's time I started using both of them because Ledger has made remarkable progress in their product.